Today many companies use Lasers to weld parts together during the manufacturing stage of product design. These companies come from a wide range of industry sectors including medical, automotive and aerospace. 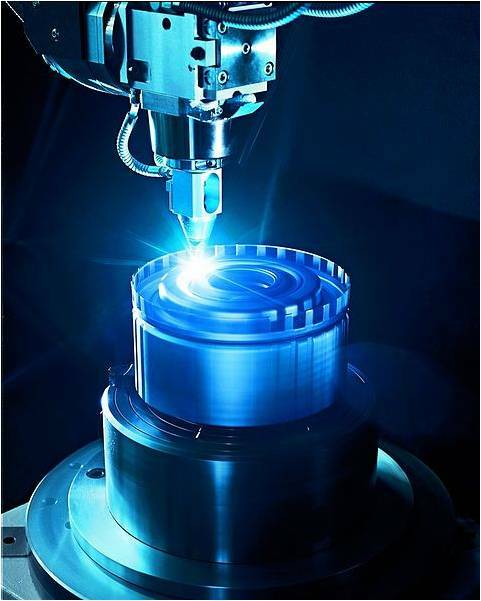 There are many reasons why Laser welding is increasingly becoming the preferred technology in these industries; read on to discover some of the key reasons and benefits for adopting this technology. The three main types of Lasers used for welding are Fiber Lasers, Nd: YAG pulse Lasers and continuous wave Lasers. What Lasers are recommended for welding? There are a number of different types of Lasers that can be used for welding. These include Fiber Lasers, Nd: YAG pulsed Lasers and continuous wave Lasers. The type of Laser welding solution you choose will depend on the application you require it for. Fiber Lasers can be used for a variety of applications from welding very small parts together commonly used by manufacturing businesses in the engineering, medical and electronics industries, through to welding thicker materials in the automotive and aerospace industries. Fiber Lasers are a versatile, low cost way of achieving high quality spot welds. Nd: YAG Pulsed Lasers create discrete pulses of controllable energy which can be shaped to create the ideal weld. This type of Laser is suitable for producing large spot welds, as well as deep spot and seam welds. Continuous wave Lasers are ideal for high speed welding and deep penetration welding. They produce welds with a very low heat input. One of the main benefits of Laser welding is that it offers a high level of accuracy and control. The fact Laser technology is so precise means that it can be used to weld the smallest of parts together, without causing any damage to them. Laser technology is capable of handling complicated joins. Using Laser welding technology you can weld dissimilar materials, as well as areas which would be too difficult to reach using more traditional welding techniques. The fact Laser welding technology uses a low heat application, minimises the distortion of the components. This is why it is the preferred method of welding for those creating luxury products, such as bespoke jewellery. Lasers use very localised energy, allowing for contact-free application which results in less thermal strain being placed on the parts. Manufacturers choose Lasers as their number one choice of welding method as it allows for consistent and repeatable welds to be made. It is a much faster welding technique than other more traditional techniques, and is also much more versatile. The same Laser can be used for cutting and drilling too (Pulsed Fiber Lasers can also be used for marking). The fact that Lasers allow for excellent repeatability and are so versatile helps businesses make significant unit cost reductions. 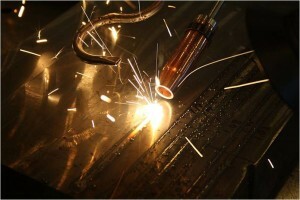 Laser technology allows manufacturers to make high strength welds. There is no need for a filler material to be used. Lasers provide excellent weld quality and clean processing, which is why they are favoured by manufacturers, particularly in the medical industry where the safety of medical devices and parts is paramount. Laser welding creates high strength joins required by businesses in the medical, automotive and aerospace sectors. If you are looking for a modern day welding solution for your business, then look no further than Laser technology. Not only do Lasers create strong and reliable welds, but through their low cost and excellent levels of versatility they also help businesses to increase the efficiency of their manufacturing process, whilst keeping costs to a minimum. If you would like to understand how a Fiber Laser could improve your manufacturing output, whilst reducing costs, contact SPI Lasers today on +44 (0)1489 779 696 or visit www.spilasers.com.